Foreign personal also from usa who want to visit New Zealand as a tourist must have a tourist visa or commonly referred as Visitor’s Visa. When arriving at the border of New Zealand, you will be granted entry access if there is a visa stamp in your passport. Tourist visa application form can be downloaded on the New Zealand Immigration Service website. Visa application process is usually take about 7 to 15 working days. - Passport valid for at least 6 months prior to departure, also attach your old passport. - One recent color photograph of passport size is 4 x 6 cm. - Pay the visa application fee. This fee is not refundable if it turns out your visa application is rejected. If after completion of the process you want the passport sent directly to the home address, the additional courier fee to be paid about $ 10. - Evidence of at least 1000 NZD to finance the cost of living while in New Zealand for a month / person or 400 NZD if the property has been paid or there that have endured. - Sponsorship letter from a family member who lives in New Zealand following a photocopy proof of citizenship or New Zealand passport of concerned family members. Forms can be downloaded on the Immigration New Zealand website. The name of this form is Sponsorship for Temporary Entry with the code is INZ 1025. - Certificate of employment and postpone letter from company. - Identity Card, proof print a return ticket, itinerary, marriage certificate, birth certificate, and for children aged less than 18 years, both parents must sign the application form and also attach a letter of sponsorship from both parents. 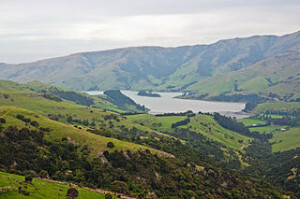 When applying for a visa to New Zealand, us citizens travelers can also prepare for visa to Australia if you want to plan to enter through Australia and into Christchurch. You can use agents to help process visa applications, but you can also apply for a visa directly through the New Zealand Immigration Office in your domicile country. After preparing all needed documents, you can pay the visa application fee by bank transfer listed on the official website of New Zealand immigration and attach a transfer slip copy. All documents including passports put in a brown envelope and then mailed to the address of the New Zealand immigration office in your country via courier. Because there are important documents, you must keep proof of delivery from the post office when if anything happens, you can track through the receipt number. If your submission for New Zealand Visitor’s Visa approved, usually less than two weeks, you will receive a mail containing the passport along with the visa sticker has been plastered neatly visit in passports. The process of filing of the New Zealand tourist visa is very easy and simple. Make sure all needed documents already attached. If there is a lack of documents, the visa application process will require a longer time or even rejected. One of the important documents is a certificate of employment and permitted postpone letter from company. The reason, the letter at least provide assurance that the visa applicant has a job in their origin country so as to minimize the possibility of the person working illegally in New Zealand. And, the postpone letter that the person must return to their country for work. New Zealand government is very concerned with the illegal immigrants who work illegally in their country. Therefore, you must prove that the goal is not to go to New Zealand to look for work. For those who are not working, can attach a letter from their parents stating that the person is financially guarantee that will not be short of money and had to work for in New Zealand. If you don’t want to bother to take the passport to the immigration office, you can use a courier service to send additional visas to the desired address. don’t forget to include your home phone number or cell phone as well office so if there is a lack of documents, the immigration staff easy to contact you.